The most fundamental method of restorative practices is meeting in circles. An effective circle engages every participant as an equal member of the dialogue. Every voice has a chance to be heard, every idea considered, and every person treated with respect. Leading circles requires a few core skills that can be learned by anyone. 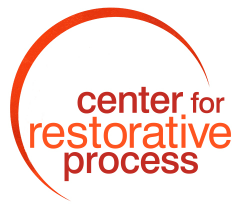 Our four-day training will give you a solid understanding of what restorative process circles are, how they differ from other forms of meetings, and the skills to be an effective leader. We provide this training four times per year in the San Francisco Bay area and by arrangement anywhere in the world.